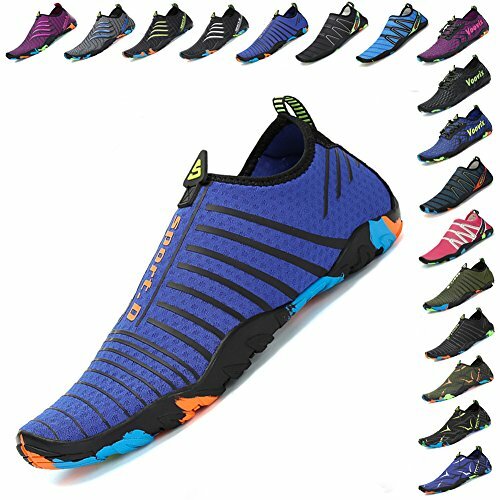 ULTRA-LIGHT&FLEXIBLE&CONVENIENT: Made up of ultra-light imported air mesh soft stretched fabric upper, solyte midsole and bendable rubber sole which provides barefoot like experience, allow you to wear them without pressure. Easy to carry and fold, don't take up too much space, so that provide well convenience. 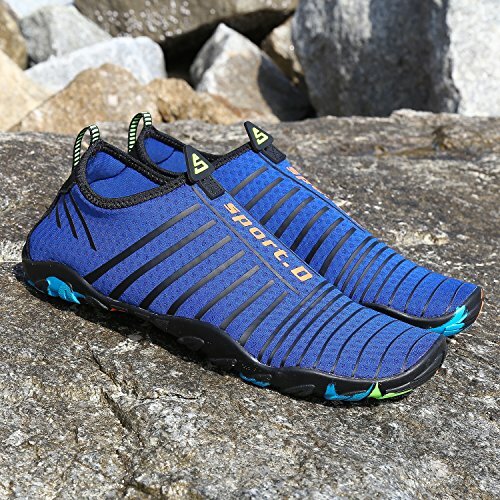 The skin shoes can also be used as aqua socks for its great flexibility and softness. 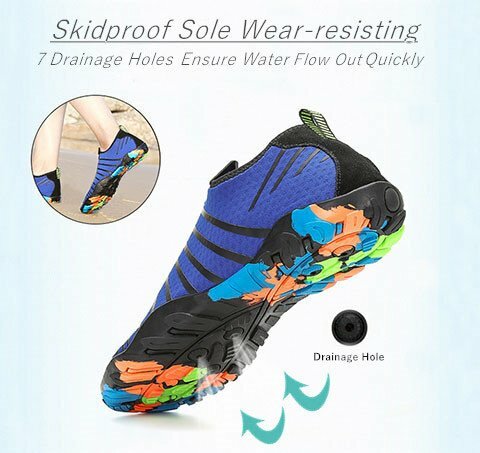 MULTI-USE: Perfect for land/water activities, like park, pool, fishing, cycling, swimming, jogging, hiking, walking, beach volleyball, diving, sailing, boating, cycling, yoga, etc. SLIP-ON CLOSURE DESIGN: The slip-on closure type is easy to on and off so that can provide more convenience and improve efficiency. 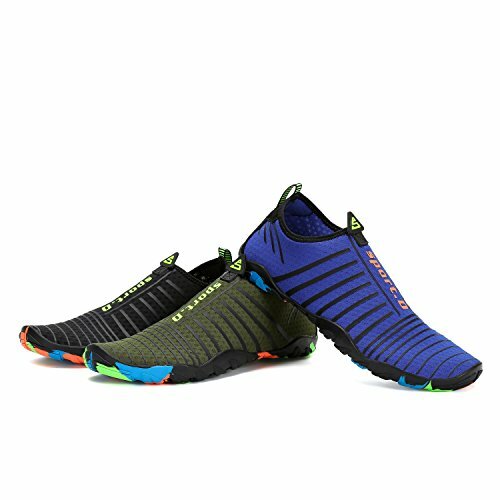 BREATHABLE&QUICK DRY: Unique ventilated rubber sole with 8 drainage holes on each bottom ensure water flow out quickly which provide more comfortable and cooler experience. Keep the shoes quick-drying, less smelly and breathable. 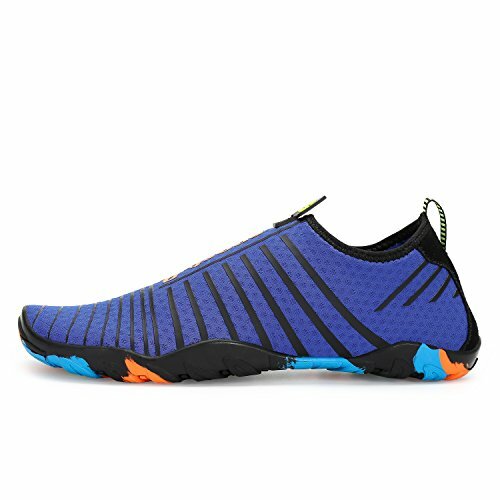 SOFT & COMFORTABLE: The soft wearable rubber material, bendable sole and smooth neck design of the skin shoes ensure you a super comfortable and freedom feeling when wearing our shoes. 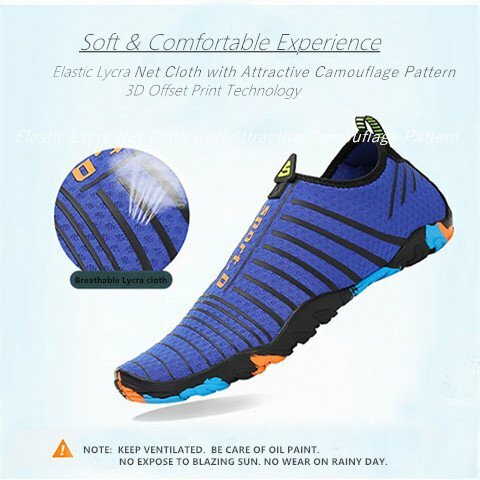 Anti-slip, durable and anti-wear.